Homemade pizza is, admittedly, not one of my go-to meals. I find working with the dough as frustrating as an episode of The Bachelor and the vegetables often make the finished product as soggy as a tissue half-way into an episode of aforementioned ‘reality’ show. There are, in fact, about 100 other things I’d rather tackle than pizza. Organizing the basement, sorting socks…attempting to walk in sky-high pumps. Well, until now. First, I decided to work with a store-bought dough mix. I imagine that many of you will consider this cheating, but don’t judge. The trick to cooking more healthy food at home is finding ways to make it easier and repeatable…something that you’d be willing to do over and over. Most people don’t have the hour or so it takes to make and rise a homemade dough. And with so many really great mixes and ready-made doughs on the market, you can spend the time you save preparing the veggies that will help create the ultimate veggie pizza. 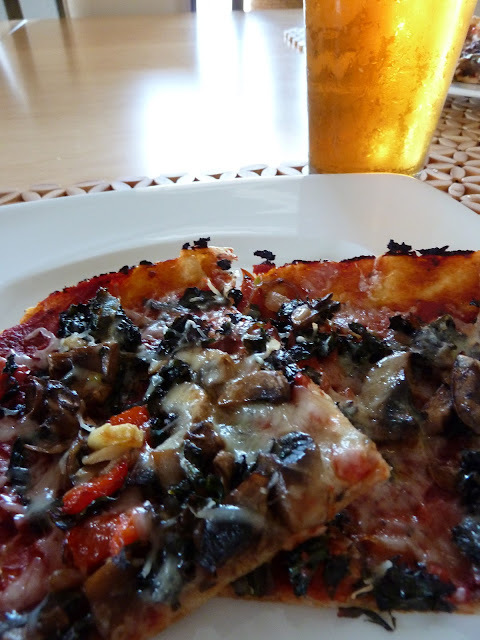 Some of my favorite pizza mixes and pre-made doughs are Trader Joes (not Gluten Free), Bob’s Red Mill (Gluten Free), and King Arthur Flour (Gluten Free). Now that you have the makings for a great crust, on to the toppings. For this recipe, I used a favorite jarred pizza sauce. I like mine a touch on the acidic-sweet side…whatever works for your taste. Because I sauteed all of the veggies prior to topping the pizza, which made them rich and flavorful, I chose to use freshly-grated Parmesan cheese (and not a lot of it). 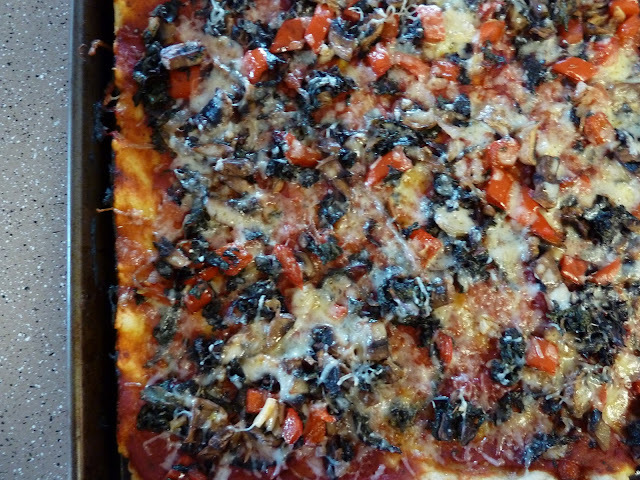 It also lends a really pleasant nuttiness to the finished pizza, which helps it earn its “Ultimate” title. Feel free to experiment with the veggies and cheese according to what’s in season and your taste. Just remember to cook the veggies until they are nearly done before topping the pizza. This is the secret to a satisfying and delicious veggie pizza that doesn’t get soggy…even the leftovers. 6. Add the chopped red pepper to the pan and saute just until tender, about 4 minutes. Add to the bowl with other veggies. 7. Sprinkle the veggies with a generous pinch of salt and toss. Set aside.